NAMM 2019 featuring: Taylor "Grand Pacific"
Powered by Taylor's award-winning V-Class bracing, the Grand Pacific is a new round-shoulder dreadnought that introduces a whole new sonic personality to the dreadnought category and the Taylor line. It's a Taylor like you've never heard before. Compared to the “modern” acoustic sound Taylor has become known for—vibrant and articulate, with clearly defined notes—the Grand Pacific’s voice features broad, overlapping notes that blend smoothly together to create a warm, seasoned sound. If you’re already a fan of Taylor, the Grand Pacific reveals a uniquely inspiring flavour to explore. If the Taylor sound hasn’t been your jam in the past, the Grand Pacific might change your mind. It’s definitely a guitar worth a test-drive. 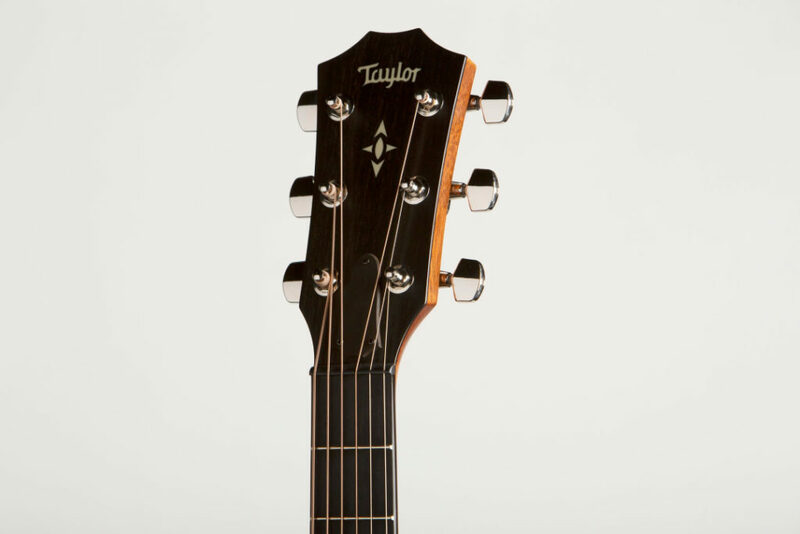 In 2018, Taylor introduced its patented V-Class bracing, a groundbreaking internal bracing system designed by master guitar designer Andy Powers. 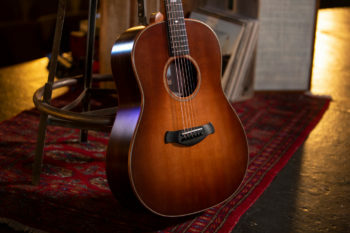 V-Class brought an evolution beyond X-bracing(which Powers felt had been pushed to its limits as a voicing framework), enabling Taylor to make fundamental improvements to the sound of an acoustic guitar—namely the ability to produce stronger projection, longer sustain, and more accurate intonation by putting the guitar top more in tune with the strings. More importantly, the flexible V-Class framework gave Taylor a powerful new platform for shaping an acoustic guitar’s tonal character in dramatic new ways. This fueled the creation of the Grand Pacific. Clear Low-End Power - Andy eliminated the low-end woofiness/muddiness often associated with dreadnought-style guitars.The Grand Pacific produces warm low-end power but with more clarity, which means the bass frequencies are more musical and less problematic for recording and other applications. Tonal Consistency from Low to High - Some traditional X-braced dreadnoughts create the low-end power at the expense of other frequencies. With the Grand Pacific, you'll hear smooth, warm, powerful notes consistently across the entire frequency spectrum. Greater Versatility and All-Around Utility - The Grand Pacific also isn't musically confined the way a dreadnought can be. It blends the power of a bluegrass guitar with the clarity and playing comfort that singer-songwriters and even fingerstyle players will enjoy. Its all-around utility makes it a fantastic workhouse guitar. Compound carve neck profile: Designed to complement the way a player's hand position shifts as it moves up the neck, the profile subtly transitions from a slight V at the nut to a rounded C, with a rounded, ridge-less heel. Use our contact page for any stock questions about these [not yet released] products. Follow our NAMM 2019 journey on Instagram, @tomleemusiccanada .